Which is probably a good thing in this case, or else people would think that Gralen and Jessy were a couple of rude buttheads. 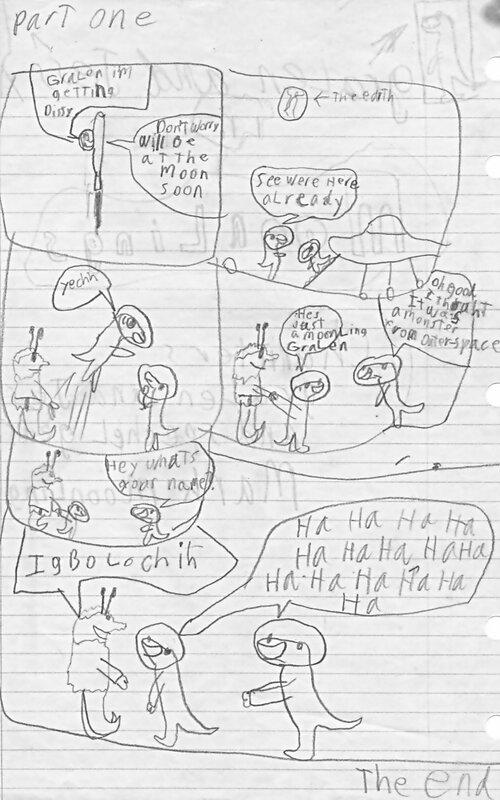 But, as I stated in my previous post concerning my older cartoons(The Way Back Machine), a lot of the “punchlines” were simply the main character or characters laughing at the guest character’s predicament or…, the way that they talk. They are certainly not trying to be rude. They are like children, and when children see, or hear, something funny, they laugh. If you take it as coming from a young boy with a weird imagination who grew up during a time when political correctness wasn’t even on the radar, maybe you can laugh along with him(and them). Another thing you will notice about some of these older cartoons of mine, is that I used to make title pages for them(forgot I even did that) and would introduce the characters who were in that days cartoon. 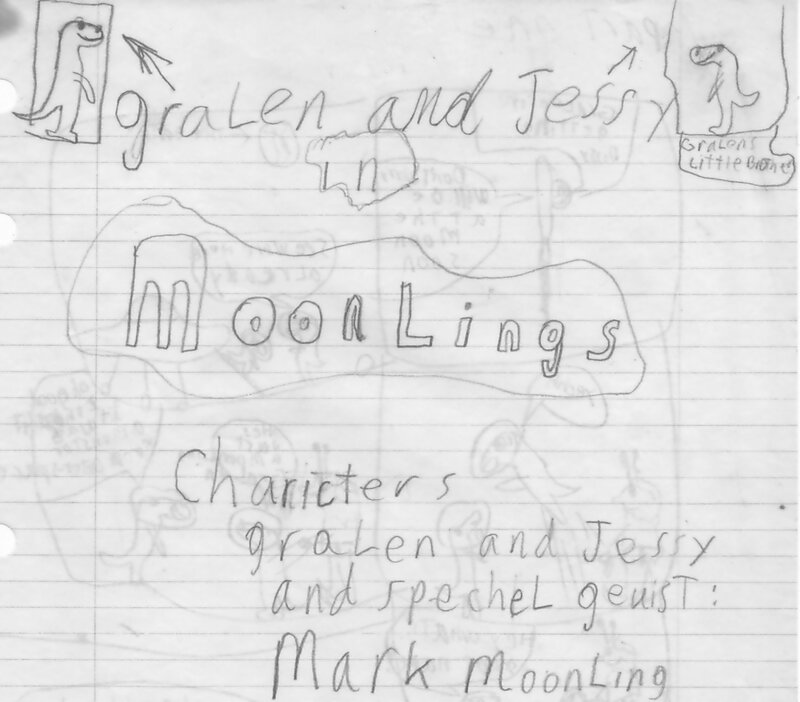 Note that Jessy in this one is described as Gralen’s little brother instead of being Gralen’s son as in more recent episodes(already posted here). The names would jump around with some characters , as you will see in future postings. I think the only one who kept his name with his character was Gralen. He was always the same dinosaur and always the lead.